Short status report – you should have created a project, added a reference to the AForge.Video.FFMPEG library, set the target platform to x86 and the target framework version to 3.5 or lower now. If so, it can go on. If you’ve also done this, we can start with the code. The first thing what you should do is to integrate the AForge library by writing the using directive. Note: From now on all the following code snippets belong to this method. I will develop and explain the code step by step. Those, who only look for the solution, should now scroll to the end of this article. First, we create two variables for the width and height of the video. We hereby specify the resolution of the video. Then we create an instance of the VideoFileWriter class and open a new video file using the open()-method. A brief explanation of the open()-method. The fourth parameter specifies the frames per second of the video, the fifth specifies the videocodec and the sixth defines the bitrate of the video. The mentioned rate of 1000000 corresponds to a video bitrate of 1 Mbps. The higher the bitrate, the larger the video and the better the quality. Now we can arbitrarily write as many frames (in the form of bitmap graphics) as we like. That’s what the following code snippet does. By use of the modulus operator (%), and the random number generator, we will create different frames which will result in a nice animation. Thanks to the frame rate of 25 FPS, which we have stated above when we set up the open()-method, we know that 25 graphics result in 1 second of video. Since we are creating 375 bitmaps (frames) below, our video will be 15 seconds in length. In the last step we have to close the VideoFileWriter yet. That’s it. The few lines of code shown in this article are completely enough to create your very own video by using C#. In the below listing there is once again the complete code of my project’s Form1.cs file. 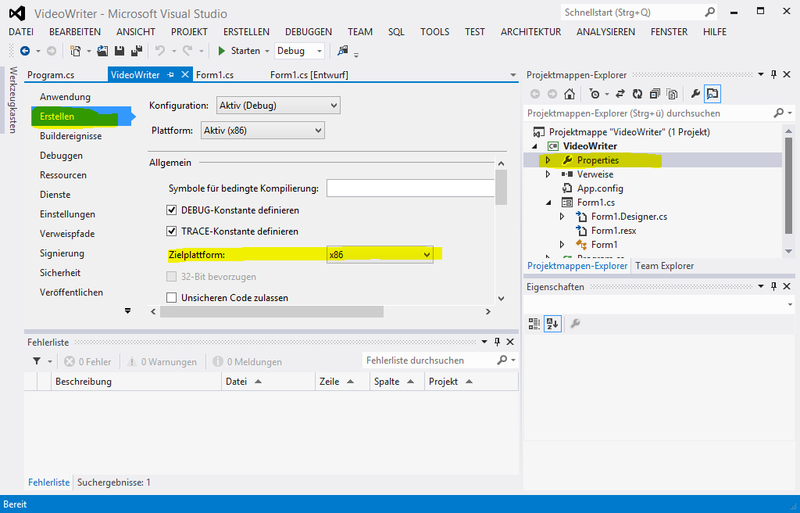 If you want you can also download the whole Visual Studio solution by clicking on the following link. I can not use both at the same time. Thanks. So complete and helpful. Works just fine. But is the AFORGE.NET no longer developed. Latest versions for x86 and .NET 2.2.5 ? i am using AForge.Video.FFMPEG.dll and this dll only somw few codec so i use some other codec like cinapak so how to implement or use in my project.. I am using Your code and i change VideoCodec.ffdshow so how to change in program or .dll file. this error are generate in code. Could not load file or assembly ‘AForge.Video.FFMPEG, Version=2.2.4.0, Culture=neutral, PublicKeyToken=03563089b1be05dd’ or one of its dependencies. An attempt was made to load a program with an incorrect format. what will be the solution of the code. Seems like you haven’t referenced the correct AForge library. This is due to you are using 64 bit operating system. but it works only in 32 bit OS. I am using .Net framework 4.0 and can’t change to any other version. Please help me out as I need it badly. u solve the problem or not..
plz if you solve the problem give a reason and help..
i write code in c# to capture video from webcam and saved image in bmp by using DShowNET library. it’s working now i want to save preview video into avi file with start,stop buttons i tried but not working. If you know how to fix this assist me to solve this issue. pls…………………………………reply me it’s very urjent. i want use it to record screen in unity3d ,can i use these solution on mobile platform? I’m sorry, but I can’t answer because I’ve never tried it. But have you checked already if there’s a AForge Lib für mobile devices at all? I keep on getting an error saying “server execution failed” when I try to open it in Windows Media Player but it works fine in VLC Media player. This isn’t a big problem but it would be appreciated if someone could explain why this happens and/or give me a solution to this dilemma. 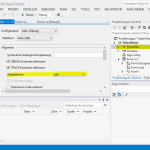 I use win form application c++ programming in VS2012. On my win form, I have three buttons that used for staring camera, stopping camera and saving film. I finished starting and stopping camera now and I would like to record the captured film on webcam and save it to specified path on my PC. Please help me for recording camera using c++ in windows form application. Hi Raffi, great code, thanks! We are currently using a modifed AviWriter.cs in our open-source screenshot/screencast application ShareX. We write a collection of images to avi container. Using x264VfW we create a H264 compliant stream however because it is in an avi container, we then have to mux it to mp4 container using ffmpeg. Therefore it is a two-step process. Can the above code be modifed to write to a mp4 container directly? I see that you use avi container as well. How would one go about changing it to a mp4 container. I know that simply using “.mp4” extension does not solve the issue. It seems that it’s possible to write directly into a mp4/h264 container, but therefore you have to tweak the AForge library a little bit. 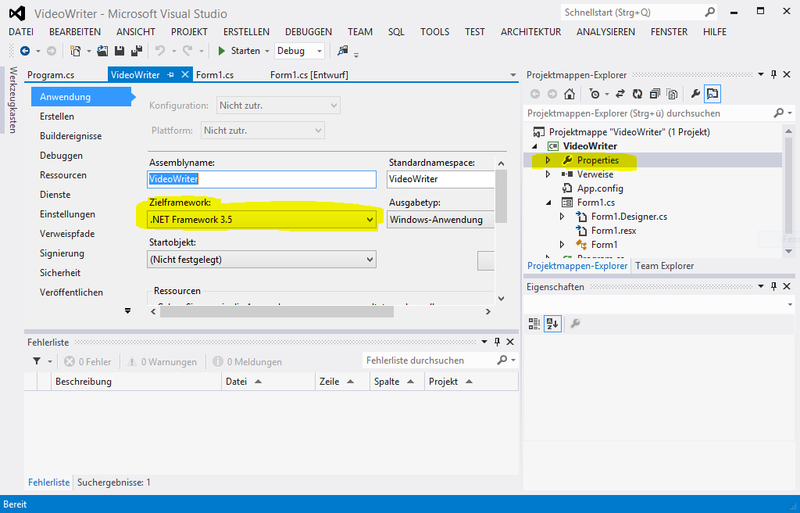 Same as previous user, do you know how to make it work on .NET 4.0 or 4.5 platform? or do you know any other library that can do something similar? Same question as I asked “the previous user”. Which libraries are missing and/or incompatible. Tell, so that I can search for a fix. but no success so far. 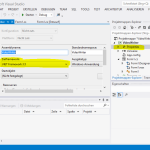 What I really one is just the nice same example you provide but for WPF app. Was Camilo’s question ever resolved? Thank you very much for this. Do you know if there are libraries to do the same on .NET 4.0 or 4.5 platform ? Great sample code ever. Easily generate video from images (JPG files). Now, how can I add a sound (or several sounds or songs) for the video ? For example, I want include a Lady Gaga music at 00:34 minute in the video, another Maddona song at 02:47 minute, and another Julio Iglesias song at 04:56 minute? How generating video from a sequence of images in C#? The article above describes how to merge multiple images (i.e. frames) to a video file. Have a look at the following C# article on codeproject. It describes a wrapper for AVIlib and also shows how to add sound to video files using the library. In the Above line am getting exception as IO exception was unhandled cannot open the file. assist me to solve this issue. Yeah i got the continuous stream of screen shots. Where as now i need help in generating the video for that continuous stream of screen shots. One shows you how to capture single frames from a webcam and the other shows you how to save single frames as a video. I’m using the following code for recording the webcam video and saving it in local disk. Will this one work? Please help me out. And also while debugging am getting the exception as IO exception”Failed opening the specified file.” Please help me out this to resolve these issues. This code is helpful! But I have a question. I have a program that streams video from a webcam and returns every image as bitmap. My question is how can I make those individual images be saved as a video clip? Thanks very much! I cannot connect it to your program. I am still finding a workaround. Thank you. Are the single frames saved as bitmap files or why should it be impossible to use my code? Maybe you could use ffmpeg to make a video from the single frame files. Yes I changed those settings as article says,but no good result. When i try to run your example project it says “The selected file is a solution file,but was created by a newer version of this application and cannot be opened”.I am using Microsoft Visual Studio 2010.Is this the problem? I really don’t know, why your project isn’t working, but I know why mine isn’t working for you. I’m using Visual Studio 2012 and Visual Studio solution files aren’t backward compatible. Just try to open the .csproj-file instead of the .sln file. This should work for you. Did you manage both mentioned points/settings from the preparations section of the article? (Keywords: target plattform == x86, target framework version <= 3.5) Have you tried to download my example project (The one linked in the above article)? Did this run for you? Hey! Thank you so much for this. Your code is so helpful! If you know how to fix this, I would greatly appreciate it, I will post a solution if i figure it out! throws the file not found exception. using what i downloaded I was able to delete the video created, run the program and have it work, and a new final video would be created, but this seems to break after adding things. SO, I had to re-add all the files in the debug folder from the original project you posted, and this worked! thanks, and sorry for the false alarm!!! Great code! I will cite you in my project!